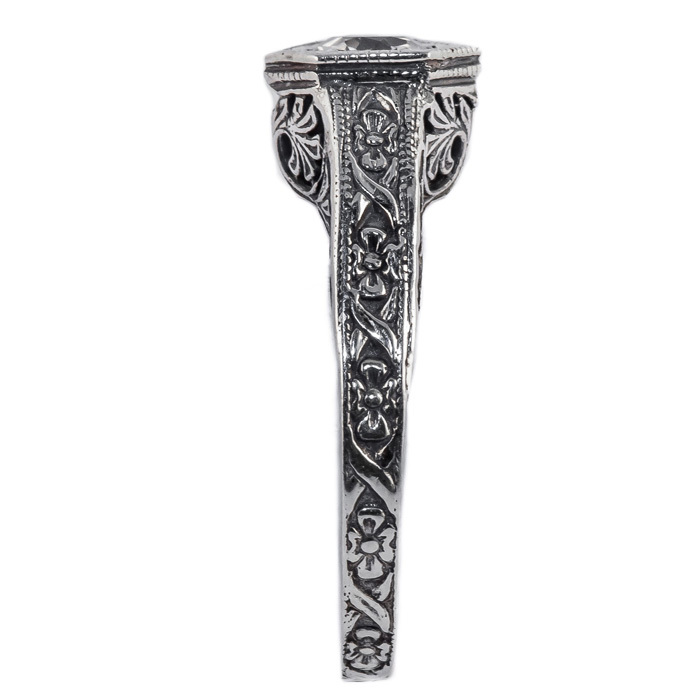 On your special day you want to honor those you have chosen to stand up with you with an accessory they will cherish and one that will express your wedding day. Apples of Gold present you with a delicate piece of jewelry, sure to make your loved ones feel like royalty. 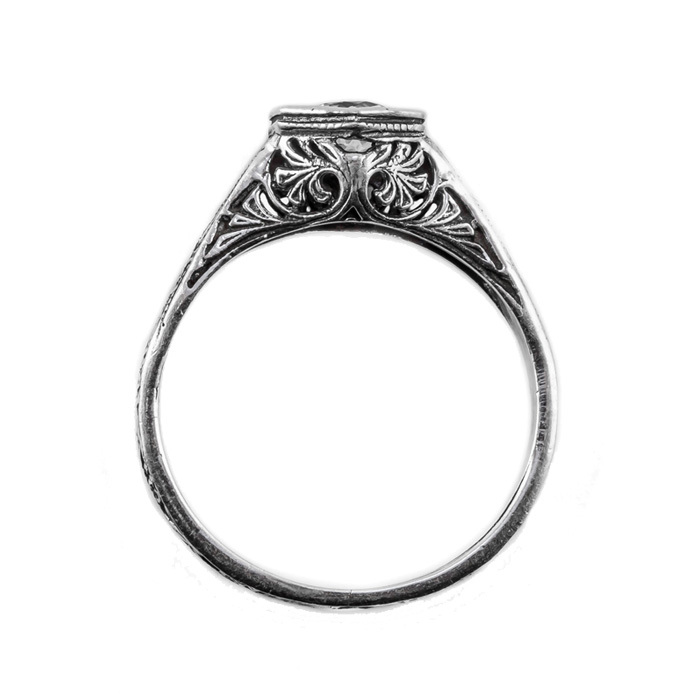 The 14 karat white gold ring is a true classic. Topped with a Amethyst gem that measures 4.5mm and is set by our jewelry experts, in a 14 karat white gold band. 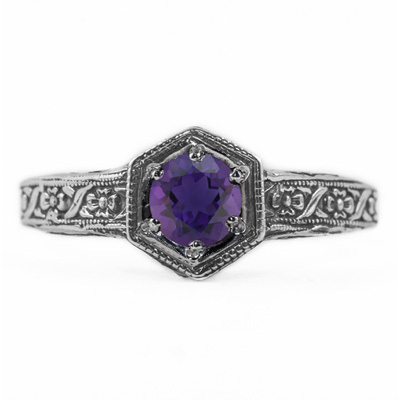 The amethyst gem is round in shape and is set in the center of the design. This floral ribbon design of this vintage style ring is a beautiful example of bridal jewelry to give to your bridesmaids or the mother of the bride. We guarantee our Floral Ribbon Design Vintage Style Amethyst Ring in 14K White Gold to be high quality, authentic jewelry, as described above.